Earlier today I posted this question which yielded a really well-done answer. I'd like to attract attention to this answer in the hope that the answer will get upvoted, as a kind of reward for the quality of the answer. Is there anything that I can do to achieve this? Seriously though, apart of posting here you can also wait two days and grant that answer a Bounty, taking anywhere from 50 to 500 of your own reputation. 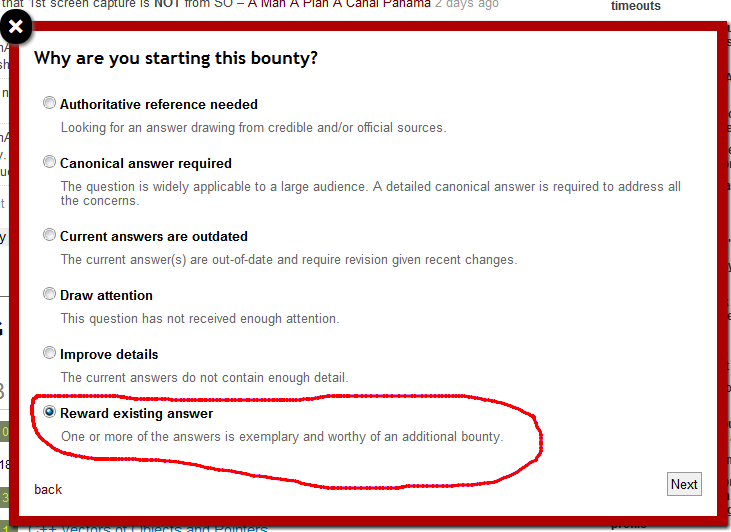 You can add a bounty to your question and give it to the deserving answer. This will essentially transfer your reputation to the one who answered. You could also post a link to the question on Twitter, Facebook, et al. Reference it from a question on meta! Any way to attract attention to a good answer? Can Stack Overflow handle heaps of questions?